I’m sitting here after attending the MSFT14 – Dynamics 365 for Finance and Operations: Microsoft Managed Continuous Updates and Support Experience session at AXUG 2018 in Phoenix. I attended this session because I knew Shelly Bakke would be leading it and I knew she had the info I was looking for. 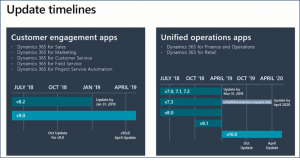 My primary mission of attending the User Group Summit this year was to get some additional information on the upcoming deadlines with regards to the end of support for Dynamics 365 for Finance and Operations 7.1, 7.2, and 7.3 in April 2019. 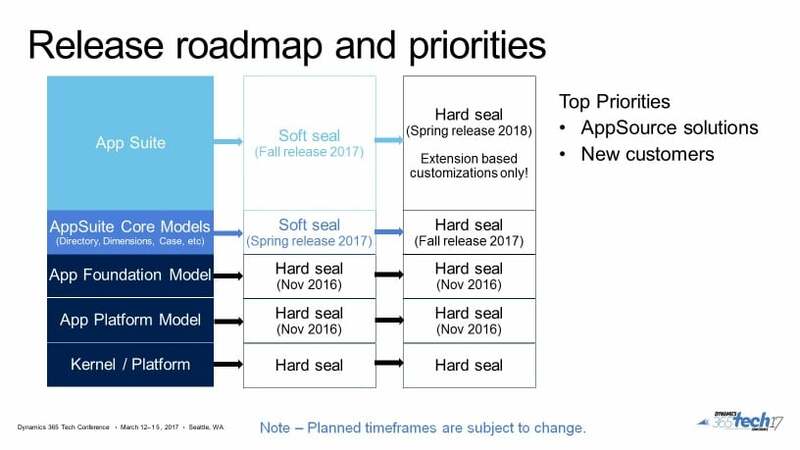 A little over a year ago, at the Tech Conference in 2017, Microsoft indicated that even though the hard sealing would take effect in the Spring of 2018 with version 8.0, overlaying was going to continue to be supported on previous versions for 3 years starting in November 2017. Here’s a link to the old info. However, since then, the messaging has been that ALL companies on Dynamics 365 for Finance and Operations have until April 2019 to get rid of overlayed code and get on the One Version bandwagon. Here’s a link to the new messaging. Our customers need answers, and with this quickly changing messaging, the industry needs to be prepared to answer them. My most burning question was “what happens if I don’t get my refactoring done before April 2019?” As soon as the session opened up for questions, I pounced. If you remember what happened back in the AX 4.0 and AX 2009 days, the same basically applies. At April 2019, support for everything (for all intents and purposes) before Version 10 ends. There’s a slight exception there – customers on 7.3 that are waiting for extensibility requests to be completed can still enjoy support until April 2020. Well, similar to AX 4.0 and AX 2009, end of support is not the end of the world. End of support means that Microsoft won’t backport new hotfixes, won’t provide assistance with new support tickets, and won’t update your environment. What this DOESN’T means is that Microsoft will turn your access or environment off – Shelly assured me of that. So similar to what happens if you’re on 2009 and have a bug, you’ll have to fix it yourself. Microsoft won’t create new fixes to address issues until you’re on the newest version. Personally, I feel a bit gaslit here. The fervor and consistency about the update timelines and the in the last couple of months has made it feel like this has been the plan forever. It hasn’t been though. I directly asked if this approach has changed in the past and was no longer consistent with the messaging from last year. It has. So if you’re confused or were planning on pushing this mandatory refactoring a bit to save on budget or something, you were right. Microsoft’s thought is “we were well within our rights to change the support policy and we told you about it,” but it certainly has a lot of impact. Let me know. I heard right from the mouths of Microsoft yesterday. Send me an email (link) or sound off in the comments. If you want a little more information about upgrades, pop on over here. 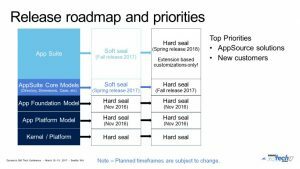 The post Dynamics 365 extensibility roadmap updates appeared first on Dynamic Consulting.